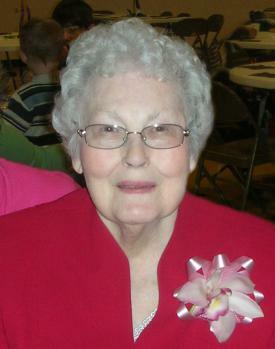 Kathryn J. Miller, age 85 of Richwood, died peacefully early Sunday morning, February 13, 2011 at Heartland of Marion. She was born April 22, 1925 in Richwood to the late Frank Wesley and Mildred Marie (Fryman) Kirk. On June 14, 1947 she married Theodore “Ted” Miller in the Richwood Church of Christ and he died February 6, 2006 after 58 years of marriage. After graduating from the Ohio State University College of Commerce in 1947 she and Ted moved to Toledo until they returned to Richwood in 1950. She went back to Ohio State in 1956 to receive her State Certification and began teaching 6th grade in the Ridgedale School District (Meeker building) in 1957. After teaching two years in Meeker she came to the Claibourne Elementary building in the Richwood and North Union School District where she would teach 26 more years until she retired in 1985. Baptized on April 16, 1939, Kathryn was a lifetime member of the Richwood Church of Christ, where she taught a primary Sunday school class and Women’s Bible Study. She was also active as an organist, church treasurer and Ladies’ Aide. She belonged to the Fortnightly and Carpe Diem Literary Clubs, the former Mt. Carmel Chapter 42 Order of the Eastern Star, Jackson Township Grange, Richwood Civic Center, Prospect Senior Citizens, and had been the presiding judge for elections for the Village of Richwood. She was a lifetime member of The Ohio State Alumni Association and the Retired Teachers of Union County. Kathryn enjoyed sewing and quilting, as well as golfing, interior decorating, arranging flowers, being with family and friends, and traveling with the Buckeye Boosters. She is survived by her children, W. Kirk (Crystal) Miller, Fairfax, Va.; Jeffrey A. (Roxane) Miller, Beverly Hills, Mich.; Barbara J. (Jeff) Swartz, Richwood; Beckie Jo (Dean) Davis, Richwood; grandchildren, Thomas A. Miller, Sarah Miller, Kelli (Andy) Robinson, Stacey (Paul) Bulucz, Aaron Miller, Kirk Sheppard, Kara (Nick) Lucas, Brian (Jennifer) Davis and Jodie Millard; great-grandchildren, Cory, Zachary and Morgan Millard; Kamryn Lucas; Hudson, Owen and Wyatt Davis; Drew and Rhys Robinson; two sisters, Margaret Jane (Stanley) Ridge Beery, Richwood; Roberta “Bobbie” (Wayne) Seiter, Prospect and numerous nieces and nephews. Funeral services will be Saturday, February 19, 2011 at 11:00 AM in the Richwood Church of Christ with Pastor Matthew Craig officiating. Pallbearers will be her grandchildren and burial will follow in Shoup (Thompson Twp.) Cemetery. Friends may call on Friday from 4 to 8 PM in the Richwood Church of Christ Sanctuary. Stofcheck-Ballinger Funeral Home, Richwood is assisting the family with arrangements. Memorial gifts may be made to the Ted and Kathryn Miller Memorial Scholarship Fund, C/O the Union County Foundation, P.O. Box 608, Marysville, Ohio 43040. Beckie/Barb: I am so sorry about the loss of your mother. You are all in my thoughts and prayers. I remember your mother in such fond ways when Kathy and I would visit your home....good memories! Sorry to hear of the loss of your mother. Deepest sympathy. We are so very sorry to learn about your loss. Please know we will keep your family in our prayers. #9 Private Log in to view. #10 Private Log in to view. Becky, Barb and families, so sorry to hear of your loss. I remember your mother with great fondness as my 5th grade teacher waaay back! She touched many lives for the better. So sorry for your loss. I will always think of Kathryn as my fifth grade teacher that let me tell the class that my Mom had a baby girl. This would be Jennifer in 1961. I always thought the world of Kathryn then, and thru the years. What a lovely lady she was....one of my best and unforgettable teachers....my thoughts & prayers go out to the family. So sorry to hear about your loss..Just know that my thoughts and prayers are with you and your family..God bless and take care of all of you. Bruce and I want to extend our deepest sympathy to all the family. Please know you are in our thoughts and if we can help in some way please let us know. Sorry to hear of Katherine's passing. She certainly was a great lady. She always let us get away with a lot more than Ted ever did. I know she will leave a large empty space in all of your hearts. Judy and my thoughts and prayers are with you. Becki and Dean, our hearts are with you in this time of sadness. God Bless and keep you in his care. So sorry for your loss. No words can expres our sympthy. Our thoughts and prayers are with you. We pray your hearts are comforted and you have peace knowing she is in God's care now. Really sorry to hear of the passing of your Mother. She and Ted are together again in a very special place.Very sorry i will not be able to attend the service tomorrow. We have family matters to deal with here at home. They were both special people in my life and will be dearly missed. So sorry to her about Kathryn. She was a very nice lady. Your have our deepest sympathy. and out, she will be greatly missed by all. Sorry to hear of the death of my long-time friend. I often think of her and the good times we had growing up together--going to school, riding the same school bus for 12 years along with Ruth Ransome Simmons, Eleanor Snowden Davis Holt, riding Nellie, my pony, learning to ride Kathryn's bycicle, and visiting when I returned to Ohio to see my relatives after we married. sorry to hear of the loss of your mother and hope your memories of all those years sustain you in comfort...recalling she was a beautiful lady and walked with such poise and grace.